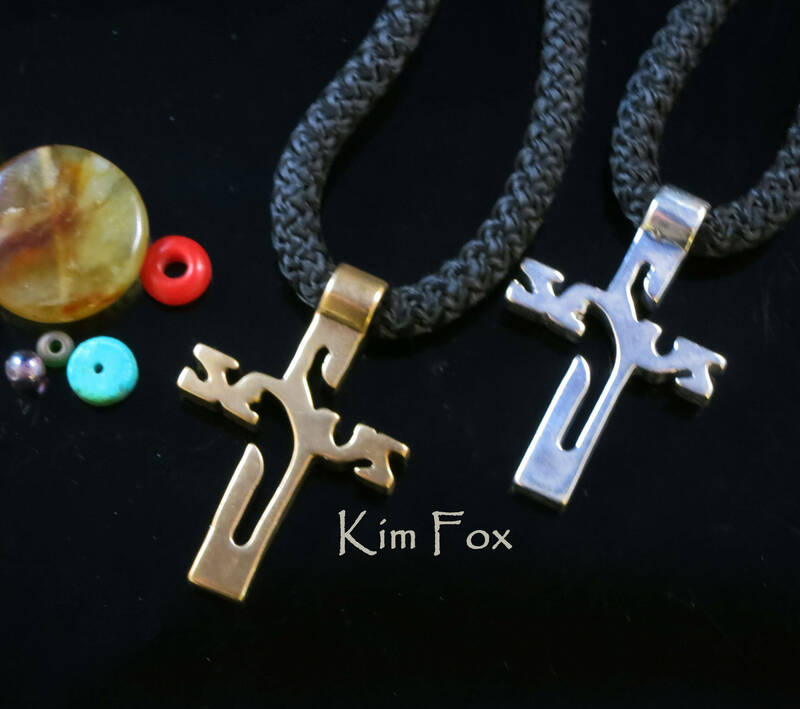 Jesus Cross in Bronze and Silver The design is based on one from Central America is has a surprise when you look at it. 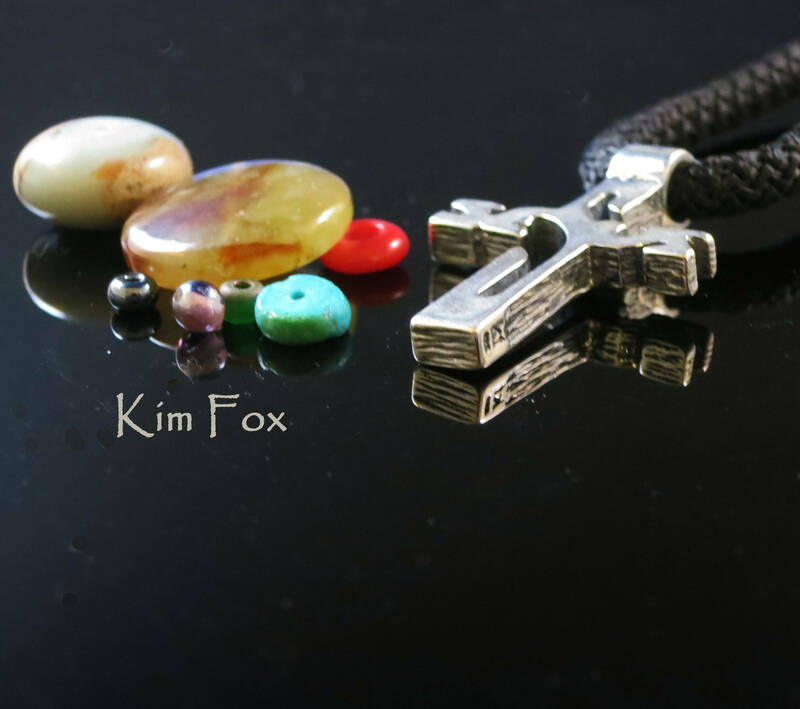 This cross is beautiful in design & has even more meaning when you read it. 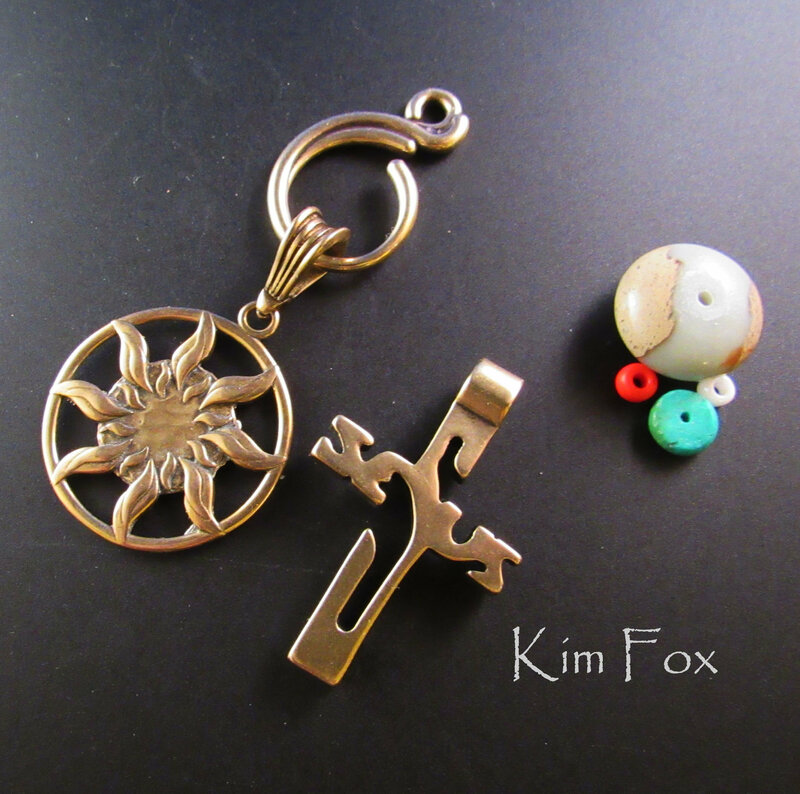 The design comes from the large crosses that are carried in the street in Costa Rica. Both sides are highly polished with a large bail. The sides have wood grain and are signed by Kim Fox the designer. 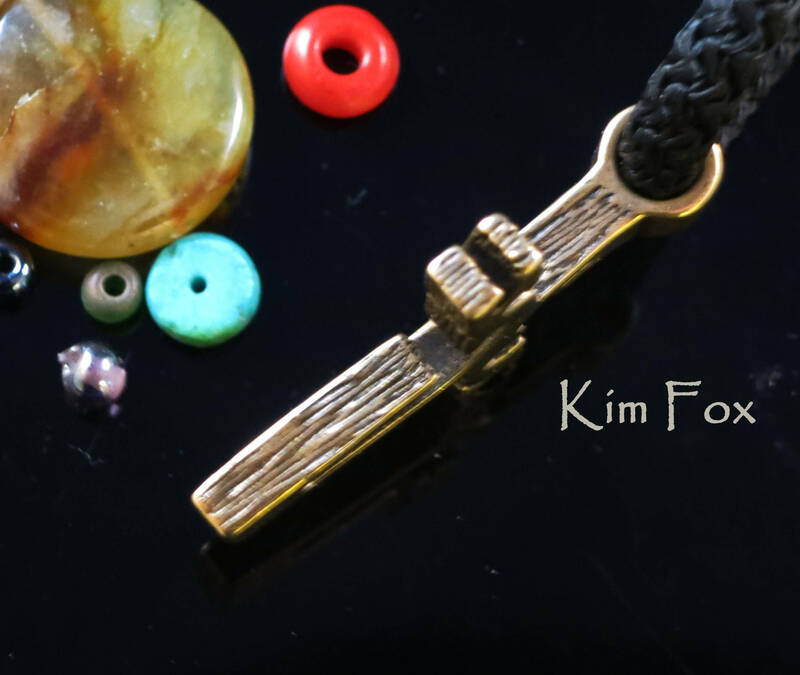 This pendant is suitable for men and women. It comes with an adjustable leather cord. 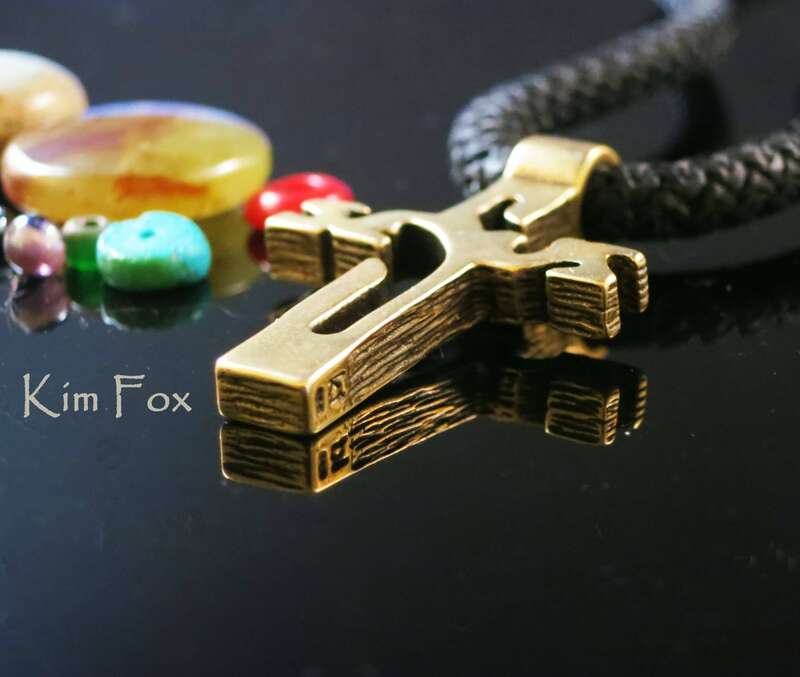 The cross is about 1 1/4 inches tall. It is a great conversation starter. This piece is beautifully executed, and is really good quality. Kudos!